A first-of-its-kind analysis shows just how tactical the real-estate industry is about bankrolling state legislators who will protect its $1.4 billion tax break and weaken rent laws. In 2014, an obscure campaign in the foothills west of Albany between a sheep farmer and a home builder mushroomed into one of the most expensive State Senate elections in New York history. Each side’s supporters spent at least $3.5 million, or more than four times the cost of the average U.S. House of Representatives contest that year. The bulk of money poured in from outside the district. Labor unions and national committees for campaign finance reform backed incumbent Democrat Cecilia Tkaczyk, the farmer. Some contributions to her opponent, Republican George Amedore Jr., which helped fund his television attack ads, were harder to trace. The money came from the Senate Republican Campaign Committee, which collected it from limited liability companies at glamorous Manhattan addresses, including Hawthorn Park, a 339-unit luxury tower with sweeping views of the Hudson River, as well as The Fairmont, The Encore and The Pavilion — all high-end rental towers. The LLCs, in turn, were arms of Glenwood Management, a developer of upscale Manhattan residential properties, and the New York real-estate industry’s largest contributor to political campaigns. Each election cycle, millions of dollars flow to Albany from luxury residential buildings, office towers and parking garages controlled by some of New York City’s biggest tycoons. 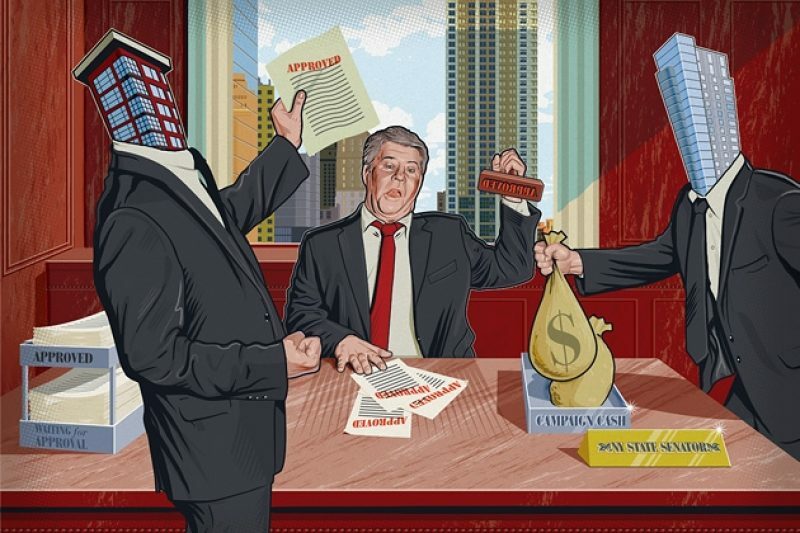 What the buildings have in common is that they’re owned by LLCs, a structure shielded from New York’s tight restrictions on corporate campaign donations. Thanks to their vast networks of such entities, developers can give virtually unlimited sums each campaign season. In one day in 2014, Glenwood funneled $450,000 in contributions to two accounts for the Senate Republican Campaign Committee through 18 separate LLCs. Exploiting the LLC loophole has been a shrewd investment for the real-estate industry. 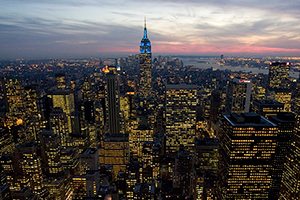 The state oversees New York City’s system of capping rent increases, known as rent stabilization. By influencing state elections, developers have undermined rent stabilization and preserved a key tax break that saves them far more money than they spend on political campaigns. The value of that subsidy, which is known as 421-a, has soared from $73 million in 1986 to an estimated $1.4 billion this year. In return for the tax benefit, owners are supposed to limit rent increases and set aside a portion of units in high-demand neighborhoods for below-market rents — though they often don’t fulfill their commitments. Corruption trials of two top New York politicians provide a rare glimpse into the real-estate industry’s influence in Albany. 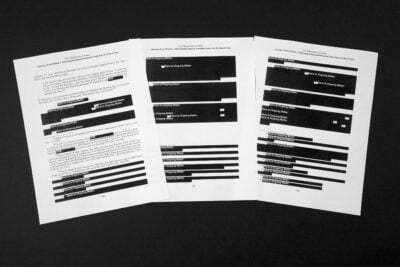 See the documents behind this investigation. To gauge the scope of 421-a-related giving, ProPublica and The Real Deal worked with the National Institute on Money in State Politics, a nonprofit that tracks political spending, to map contributions from LLCs and individuals tied to the 60 biggest developers of New York rental properties receiving the subsidy. While it’s long been known that developers donate a lot of money to state elections, the analysis shows for the first time just how tactical the industry is about bankrolling candidates across the state that are friendly to its cause. The first-of-its kind analysis identified $21 million in donations to state candidates and party committees since 2000. That represents one-fourth of the real-estate industry’s total $83 million in contributions over that time, the most of any industry tracked by the institute. Most of the contributions were made through LLCs. Glenwood Management was the biggest donor, at $9 million followed by the Durst Organization at $2.5 million and Related Companies at $2.1 million. Gov. Andrew Cuomo was by far the largest recipient of donations from the taxpayer-subsidized developers. He collected $4.2 million across his runs for governor and attorney general — of which about one-third came from Glenwood. Tenant advocates derided him as “Governor Glenwood” in 2015 when he stayed on the sidelines during a legislative tussle over rent laws. Another $8.9 million in contributions from developers went to New York State Senate candidates and party committees, with two-thirds flowing to Republicans. While the Democrat-dominated Assembly has long been receptive to tenants, the Republican-led Senate has generally sided with landlords. That dynamic has turned races like Tkaczyk-Amedore into high-stakes battlegrounds for an industry determined to protect its tax break and its diluting of rent stabilization. While most of their valuable properties are in New York City, developers directed almost two-thirds of their Senate donations to candidates in upstate and Long Island races. The biggest beneficiary, though, was a Bronx Democrat: Jeff Klein. The former deputy majority leader, who now heads an independent caucus of Democrats, has received almost $320,000 since his election to the Senate in 2004 from big developers with 421-a subsidies. Glenwood contributed almost half of the total. Timothy Kennedy, a conservative upstate Democrat, ranked second at $208,550, followed by Bob Cohen, an unsuccessful 2012 Republican candidate for a Senate seat in Westchester County, at almost $200,000. Amedore, Tkaczyk’s opponent in 2012 and 2014, ranked fourth, with $140,700. Glenwood’s headquarters is a nondescript two-story office building off a four-lane road in New Hyde Park, Long Island. Its parking lot is filled with economy-line sedans and its closest neighbor is a Mexican restaurant known for its cotton candy. The headquarters’ dimly lit lobby features black-and-white pictures of five Glenwood-owned residential buildings — The Barclay, The Stratford, The Lucerne, The Pavilion and The Fairmont — that have collectively given at least $2.2 million to state politicians. No one was available to discuss the firm’s donations, and subsequent calls and emails were not returned. CeCe Tkaczyk wasn’t expecting a political career. A third-generation farmer from rural New Jersey, she was planning to go into the family occupation when her life took an urban twist. In 1985, she and her husband moved to a Boston suburb so he could pursue a physics doctorate at Massachusetts Institute of Technology. Tkaczyk took a $16,000-a-year job as a secretary at Harvard Law School. Harvard’s clerical workers were trying to start a union, and she signed up as a part-time organizer. Employees narrowly voted to approve the union in 1988, and Tkaczyk found her calling. “At my heart, I’m an organizer,” she said. A few months later, she and her husband bought an 1830s farmhouse west of Albany. Tkaczyk worked for nonprofit groups, lobbying legislators for affordable housing and supporting tenants’ rights. She impressed Krueger, the Upper East Side senator, who helped her land a job in 2009 as a housing policy analyst for Senate Democrats. For once, the party held a slim majority, giving pro-tenant bills a chance. So Krueger and other senators pushed for repeal of a law, known as vacancy decontrol, that removed limits on rent hikes for apartments where tenants moved out and the rent exceeded $2,000 a month (now $2,700). Then-deputy majority leader Klein, the chamber’s biggest recipient of real-estate contributions, refused to co-sponsor the repeal bill. 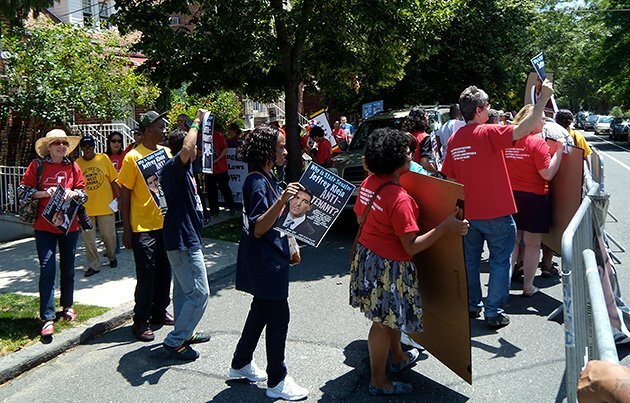 In June 2010, the Metropolitan Council on Housing organized a protest at Klein’s house. Tenant advocate Mike McKee and Mario Mazzoni, then the Council’s director, both recall Klein telling them that he would quash their repeal efforts. 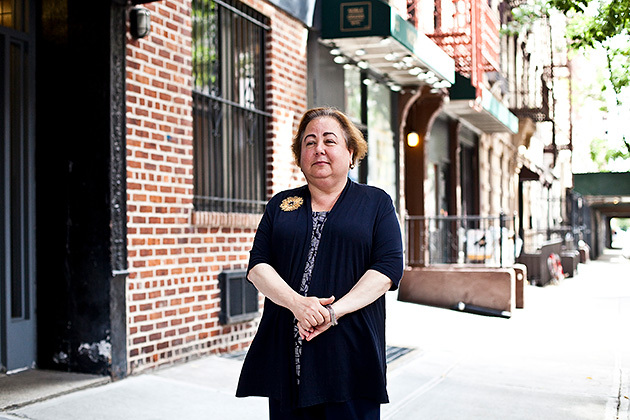 A spokeswoman for Klein said, “Campaign donations do not influence legislation whatsoever.” She said he secured $50 million for affordable housing and fought to guarantee rent stabilization for more than 80 tenants after their landlords deceived them. Democratic leaders did allow two bills to reach the floor for votes that year: A Krueger measure to stop landlords from collecting rent increases retroactively, and a bill by Manhattan Sen. Daniel Squadron requiring owners to document rent increases used to justify vacancy decontrol. On Aug. 3, 2010, as the bills neared the floor, Glenwood executives panicked, according to an email disclosed in the corruption trial of former Senate Majority Leader Dean Skelos. Developers then ramped up their contributions to help Republicans regain the Senate, giving at least $560,000 before year’s end. REBNY and the RSA chipped in another $350,000, records show. Overall REBNY has given $3.3 million and the RSA has contributed $6.6 million to various state races and party committees since 2000, complementing the developers’ contributions. The Republicans recaptured the Senate in November 2010, costing Tkaczyk her analyst job and catapulting upstate Republican Catharine Young to prominence. Young’s district lay south of Buffalo, on the shores of Lake Erie, hundreds of miles from New York City. From 2005, when she was first elected to the Senate, to 2010, she had received almost no contributions from developers. That changed in 2011 when she assumed the chair of the Senate housing committee. That year, developers gave her $58,500, most of it from Glenwood and Manhattan-based Rose Associates. REBNY and the RSA donated almost $52,000 to Young from 2011 through 2016. Almost immediately, Young began introducing bills to amend rent laws in favor of landlords. One bill would have allowed landlords to raise rents by as much as 20 percent when tenants died and their family members wished to take over the lease. Another proposed scrapping a long-standing rule allowing rent-stabilized tenants to secure two-year leases instead of the usual one year. A third would have allowed landlords to evict tenants who voted at the wrong locations or filed their tax return with different addresses, on the grounds that their rent-stabilized apartments weren’t their primary residences, as required by law. Another Young-sponsored bill would have vacated a court decision in favor of tenants of Independence Plaza North, a large rental complex in Manhattan, who sued their landlord, Laurence Gluck of Stellar Management. 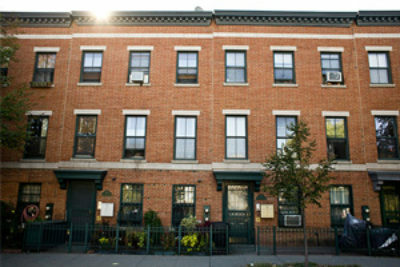 The court had upheld the tenants’ challenge of Gluck’s removal of the building from rent stabilization. Sen. Squadron, whose district includes the complex, debated Young on the Senate floor. “Does that provision on page 15 apply to any other addresses, to the sponsor’s knowledge?” he asked her in June 2011. 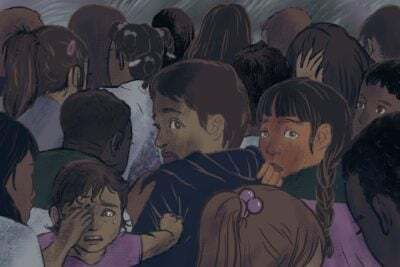 “Imagine another member of this legislative body came in, chose a neighborhood in your community, 3,500 residents in your community, 1,300 homes in your community [and] said ‘you know what, I want to make it harder for these people to keep their homes,’” Squadron said. Young’s bill passed the Senate, but died in the Assembly. While Gluck prevailed on appeal, the involvement of a senator whose district is closer to Cleveland than Manhattan still irks Diane Lapson, the president of the building’s tenant association. Young declined to comment. Representatives for Gluck did not return requests for comment. Aiming to solidify their majority, Republicans gerrymandered a new, alligator-shaped district in 2012. Just under 300,000 in population, predominantly white, rural and lower-income, the 46th Senate district cobbled together farming communities, depressed industrial towns, and affluent Albany suburbs. It spanned five counties, but in places was barely wider than a city block. The map couldn’t have been drawn better for George Amedore Jr., an Assembly member whose district fit neatly within the new seat’s borders. Frustrated over budget cuts to her school district, Tkaczyk decided to run against Amedore. She knew fundraising would be vital. She loaned $40,000 to her campaign, and raised $220,000 from individuals, unions and other Democratic groups, filings show. By contrast Amedore garnered nearly $640,000, including almost $55,000 from Glenwood. The Senate Republican Campaign Committee supplied part of this war chest, thanks to REBNY. In July 2012, the trade association sent out a fundraising appeal, emails from the Skelos corruption trial show. “Control of the State Senate is again at stake this November,” Steven Spinola, then REBNY’s president, emailed developers, urging them to write $25,000 checks to the Senate Republican Campaign Committee. He reminded them that LLCs could be used for donations, attached a disclosure form and requested contributions by the end of August. “Another 25k. Jeez. Do 10k x 2 and 1 5k llc,” Dorego, the Glenwood executive, wrote to an assistant when he forwarded her an August reminder to make the contribution. Senate Republican Campaign Committee finance reports show an influx of a quarter million dollars from real-estate developers following REBNY’s solicitation. Glenwood gave $25,000, per Dorego’s instructions. The Committee then transferred $100,000 to Amedore’s account in September, filings show, and incurred $400,000 worth of costs for his campaign in the following months. Tkaczyk got a boost of her own. Two super PACs spent a combined $654,000 in late October and early November 2012 on TV ad buys, mailers, robo-calls and polling, with much of it directly benefiting Tkaczyk. 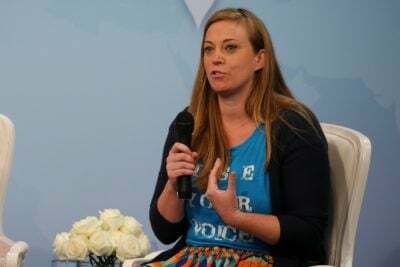 The money came from Friends of Democracy, a group funded by Jonathan Soros, son of financier George Soros, and Protect Our Democracy, run by Facebook co-founder Chris Hughes. Both groups, perhaps ironically, sought to eliminate the influence of money in politics by electing candidates, like Tkaczyk, who backed public financing for elections. By law, super PACs can raise and spend unlimited sums in any given race, as long as they disclose their donors and do not coordinate activities with candidates. After a close race that couldn’t be called on election night, just 110 votes separated the two candidates, with 877 ballots challenged. The outcome, which would determine control of the Senate, wouldn’t be known for weeks. Tkaczyk’s potential win worried the real-estate industry, not least because of what it might mean for the LLC loophole. The day after the election, REBNY lobbyist Whelan forwarded an email announcement from the Democrats titled “Dems take back the Senate!” to Glenwood contacts and said, “we need to discuss campaign finance reform. Probably where we are initially most vulnerable,” Skelos corruption trial documents show. In December 2012, as the counting of challenged ballots began, Klein and four other Senate Democrats broke away from the main Democratic caucus and sided with the Republicans. Klein said he was building a “bipartisan governing coalition” to advance “progressive policy issues that benefit all New Yorkers.” Critics said he made a deal to help Republicans keep control of the Senate in case Tkaczyk won. And she did. Seventy-three days after Election Day, Tkaczyk was declared the winner by just 18 votes — one of the slimmest margins in New York State Senate history. One of the first bills before Tkaczyk and her Senate colleagues would extend a tax break for condos and co-ops. It was an important perk for Krueger’s constituents, but while sifting through the legislation, she spotted something strange. One section of the bill would grant 421-a tax incentives to a handful of owners of specific lots in upper-crust Manhattan neighborhoods. “The language was so odd,” Krueger recalled, that she and her staff couldn’t figure out why it had been included. 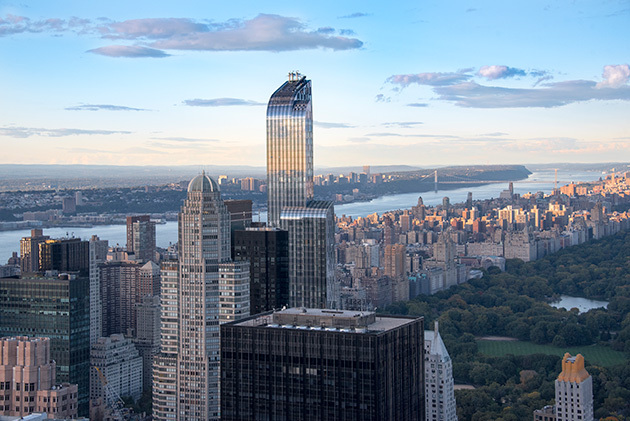 It turned out that the curious language, lobbied for by REBNY, benefitted just five prominent real-estate firms: Extell Development Company, Thor Equities, Silverstein Properties, Fisher Brothers and Friedman Management. 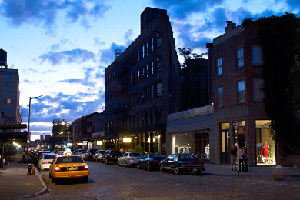 It allowed them to receive 421-a benefits while locating their required affordable housing in less desirable outer borough locations rather than their high-priced complexes in midtown Manhattan. Together, these developers have contributed at least $3.2 million since 2000 to state candidates, committees and PACs headed by real-estate groups. Sen. Martin Golden, the measure’s sponsor, has received at least $80,500 from big developers in the 421-a program, though none of the five developers who benefitted from his bill have contributed to him. Golden, who said during a floor debate that he didn’t know why the carve-out was included, did not respond to requests for comment for this article. Extell President Gary Barnett said in an interview that the carve-out was justified and had nothing to do with political contributions. “It was a grandfathering for projects that were already in the works” and would have qualified for 421-a under prior rules, he said, adding, “it’s just basic fairness.” The 421-a benefit is worth about $9.2 million this year for Barnett’s One57 condo tower, according to the city’s Independent Budget Office. The real-estate tax bill passed. Krueger said she reluctantly voted for it because of the condo and co-op tax breaks important to her constituents. Tkaczyk and six other senators voted no. The approach did not earn her many friends across the aisle. Over the next two years, Tkaczyk struggled to move even the smallest bills to the floor. That included a minor bill that would have allowed a town in her district to share office space with a neighboring municipality. Tkaczyk said it was denied a floor vote by Skelos, then the Republican majority leader. “Politics reared its ugly head and they refused to bring it to the floor,” Tkaczyk said. In 2014, the real-estate industry immediately targeted the rematch between Tkaczyk and Amedore. Jobs for New York, a super PAC controlled by REBNY, spent $2.5 million that year. More than $1.8 million came from 12 large New York City firms that each gave at least $100,000. At least $518,000 went to help Amedore’s campaign, nearly five times more than any other New York political candidate. On July 11, 2014, through LLCs at its luxury Manhattan properties, Glenwood gave $400,000 — the company’s largest one-day donation ever — to the Senate Republican Campaign Committee’s housekeeping account, plus $50,000 to another account. The housekeeping account funded at least $780,000 of “issue advocacy” during the 2014 campaign, disclosures show. In Albany, issue advocacy is often a euphemism for negative advertising. More than $100,000 went to Prosper Group of Greenwood, Indiana, a Republican-leaning advertising agency also employed by the presidential campaign of Donald Trump in 2016. On its website, Prosper brags about “mass-media efforts” it developed for Amedore’s race and took credit for moving his polling numbers up and Tkaczyk’s down. Direct promotion of a candidate through a housekeeping account is barred by state election law, but the provision is often loosely interpreted by both parties. Contacted for comment, Risa Sugarman, chief enforcement counsel for the New York State Board of Elections, said attack ads could violate the law if they constitute campaigning for a candidate. A 1994 City Council vote enabling landlords to dodge limits on rent increases has had a profound impact on the lives of New Yorkers. Read the story. Tens of thousands of New Yorkers are moving into newer rent-stabilized apartments. Many are paying ‘preferential’ rents that tenant advocates say invite abuse by landlords. Read the FAQ. “Designating advertisements as issue advocacy doesn’t preclude them from being a campaign advertisement,” Sugarman said. Scott Reif, a Senate Republican Campaign Committee spokesman, said the committee’s spending was legal. With one of their own in the race, the New York State Association of Realtors voted to spend more than $400,000 on Amedore’s behalf. “Amedore is a developer, homebuilder, and card-carrying Realtor member,” Mike Kelly, director of the group’s political fund, said in an interview. And again, Amedore’s campaign portrayed Tkaczyk as a closet Manhattanite. Tkaczyk’s tenant supporters couldn’t match the developers’ deep pockets. One Friday evening in June 2014, they held a fundraiser in a community room at an Upper West Side apartment building. Over Costco shrimp and veggie platters, wine and crackers, they raised a few thousand dollars for pro-tenant candidates. Tkaczyk chipped in $100 herself. A few days later, the committee gave $3,300 to Tkaczyk’s campaign. Tkaczyk also had other backers. As in 2012, unions and super PACs helped her. New York City Mayor Bill de Blasio helped raise funds for upstate races, giving Tkaczyk a lift (and later facing scrutiny over alleged violations of campaign finance laws). But Tkaczyk said most of the donations came too late in the campaign to make much difference. On election night, she lost by a wide margin. Once in the Senate, Amedore became a reliable vote for the real-estate industry. In 2015, he supported an expansion of the 421-a tax break. As a member of the Senate elections committee, he helped kill a proposal by Squadron to eliminate the LLC loophole by voting to send it to another committee, where it died. Amedore also introduced the same measure Tkaczyk had sponsored to let a town in the district merge its headquarters with a neighboring municipality. This time, it sailed through the Senate. A spokeswoman for Amedore declined to make him available for an interview or answer written questions. Tkaczyk now tends a flock of 30 spotted sheep and sells wool products at her store, CeCe’s Wool. “Right now I’m making dog beds and bed pillows and I’m really happy,” she said. She also volunteers as an adviser to the Museum of Political Corruption — an as-yet-unopened tourist attraction in Albany. Had she been in office, Tkaczyk said, she would have voted to close the LLC loophole.